Adele, 5 and a bit years old (via her mum). "They both loved it to bits. They said, 'we have to take really good care of it because it's so special', and the 7 year old made this [picture] for you." "Yay my 2 copies of SOME GIRLS have arrived! One for me and one for my school library. Principal is now keen to order a set for the library." "Look what arrived in the mail! We love it!" "Mine just arrived. Can't wait to give it to the girls at Christmas." 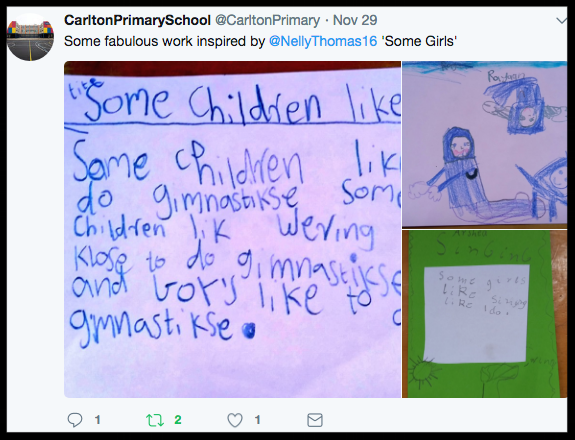 Some girls (like me, Nelly Thomas) get to hang out with Dr Mimmie Mim Chi Watts - she inspires all girls to be whoever they want! I like your book because it is a insperation to all girls in the world who are different. Girls should be whoever they want to be. I think some schools are silly because they dont let girls wear short and I think they should change it. I hope you will write one about boys." As an educator getting children and adults to think outside gender stereotypes is something I strive to achieve regularly. This book looks fantastic with beautiful drawings. Perfect for the children I work with everyday. These are the things that should be included in the next book, SOME BOYS, according to the grade 3/4s at Yea Primary. "We got SOME GIRLS today!! We read it straight away and I quote, 'It's like she write this book for me.' 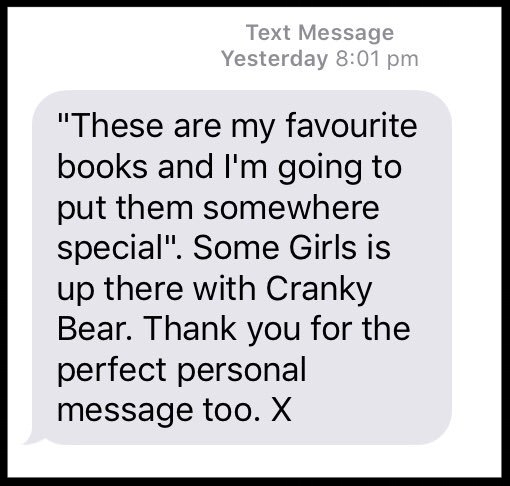 Bronte is reading it again and identifying with all of the girls, particularly the ninja. Thank you nelly!" "its here! I can't wait to read it to my kids who I'll be late picking up from school because I spent time taking photos of the book."